love a cute footstool, and this one was no exception. 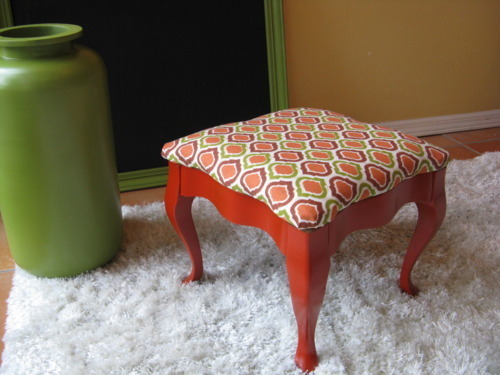 I found this diminutive traditional footstool for around $7 at a thrift shop and we’ve used it in a staging already. I loved it, but wanted to freshen it for spring, so I decided to paint it coral red and cover it with the same fabric with which I covered a chair last week. 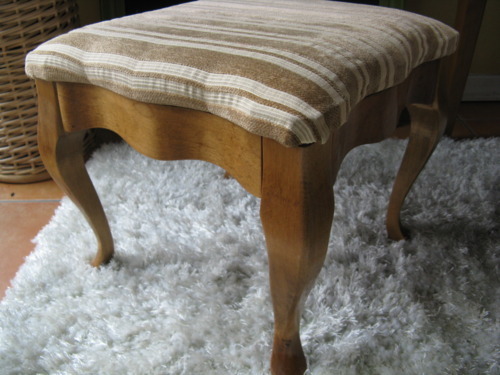 Here’s the tale of our forlorn little footstool, looking quite ready to face the future now.